Shows you how to be a genuine disciple, by exploring Jesus' very own discipleship manual: The sermon on the Mount. This book aims to show you how to be a genuine disciple, by exploring Jesus' very own discipleship manual: The sermon on the Mount. In it, Jesus - the Master Teacher - shows us how we can be genuine disciples and experience genuine success. 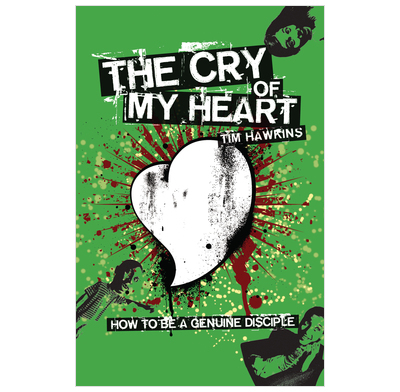 'The Cry of My Heart' is another invaluable resource from Tim Hawkins. In a very clear way it uses Jesus' teaching to challenge and change the attitudes of hearts, to help us become better disciples and disciple makers. We're currently using this book as the basis for our studies with our small group of 17 yr olds. It's aimed a bit younger (11-14's would be brilliant, but dependent on Bible knowledge/maturity of group) but we're just using it more like a leader's handbook and a spring board for discussions. It's more helpful alongside the book of the same name, as it goes into much more detail and some of the questions make a bit more sense. A very useful book at challenging the lifestyle of your teens.